"I just love the idea that you can talk openly about these matters." It can be terrifying, delightful, confusing, and underwhelming all in one. It's supposedly solid proof that you, a pre-teen girl, have finally become a woman - and yet the only thing that's actually changed is that you've just ruined a nice pair of knickers and now have chronic stomach pain. But the pain and the effort isn't the reason why so many young girls and women don't speak openly about menstruation - it's because they're embarrassed, when they really shouldn't be. One mother who's doing her best to ensure that her daughter doesn't get caught up in all the shame and secrecy often associated with periods is Morgana Sin. 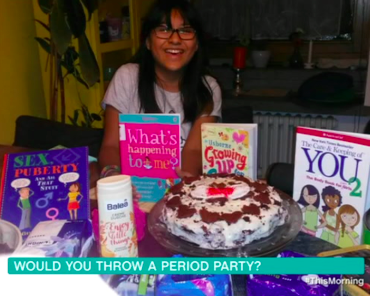 She appeared on This Morning earlier this week to explain why she threw her 11-year-old daughter a period party - with a cake and everything. 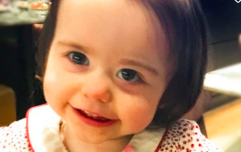 "For me personally, the reason that I decided to do this for my daughter is I wanted her to know that she was loved and supported by the family, and I thought it was such a great way to celebrate her entrance into womanhood. 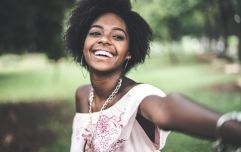 "I just really love the idea that you can talk openly about these matters and she can come to me without feeling any embarrassment or any of the stigma associated with menstruation." Morgana added that she gave her daughter presents of books about menstruation. and a load of sanitary products. She also made sure her daughter knew she could ask her anything about her period. While the idea of inviting all your mates round to your house to celebrate your first blood probably isn't the most ideal scenario, knowing that your parents are willing to answer any questions about menstruation must be nice to know. At the end of the day, periods aren't something to be ashamed about. A period party could involve 20 people and a load of party poppers, or it could involve a small hamper of must-haves and the support of a parent. Either way, marking the occasion and letting your daughter know that she has nothing to be embarrassed about is crucial. Whether you include a cake or not. For the month of February, Her will be #OnTheRag. We'll be chatting all things periods, products, and pain as we delve deep inside the uterus to figure out why we bleed and - more importantly - how we cope. We'll also be talking to the experts about some of the period related conditions you have heard of - and all of the ones that you haven't. You can follow the rest of the #OnTheRag series here or follow our Instagram account for more period related content. Want to get in touch? Email us at jade@her.ie.